The Call of Duty veteran led his new team to an undefeated performance on Friday. 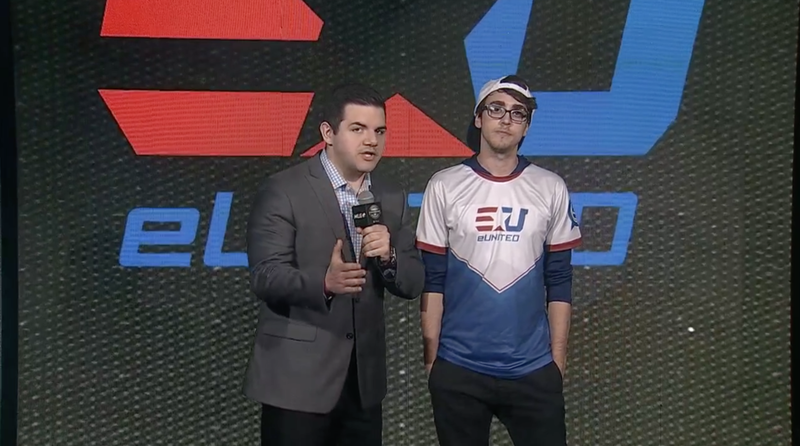 James “Clayster” Eubanks’ LAN debut with eUnited couldn’t have gone much better as he led his new squad to a 2-0 start in Group Yellow of the Call of Duty World League Global Pro League Friday night. The North American squad took down both Rise Nation and Splyce 3-1 to begin their campaign in the second season of the CWL Global Pro League. In the first match of the night, eUnited made an impressive comeback to take down Rise 250-246 on Retaliation Hardpoint. Clayster and crew followed that up with a 6-5 victory on Throwback Search and Destroy. But Rise wouldn’t go down without a fight, taking Frost Uplink 9-4. In game four, Breakout Hardpoint, Rise jumped out to another huge lead early on, but eUnited stormed back to close out the series with a 250-175 victory. EUnited followed up their 3-1 series win against Rise with another 3-1 victory in the final match of the night against Splyce. The European powerhouse was able to take the Search and Destroy against eUnited, but they got absolutely dominated in the respawn game modes. Clayster and crew won Breakout Hardpoint 250-117 before Splyce took Throwback Search and Destroy 6-4. Then, Justin “SiLLY” Fargo-Palmer caught fire on Precinct Uplink, leading the team to a 17-6 victory. It all ended on Scorch Hardpoint, where eUnited just dismantled the kings of Europe 250-50 to secure the 3-1 series win. Although Splyce faltered against eUnited, they took care of business earlier in the day against Red Reserve. It was a back-and-forth series, but Splyce came out on top with the 3-2 victory, thanks in part to 6-3 win in game five, Retaliation Search and Destroy. Rise Nation struggled the most on the opening day of Group Yellow, going 0-2 with losses to eUnited and Red Reserve. But Rise did battle back in both series after facing a 0-2 deficit as they went 2-0 in Uplink on Friday. EUnited currently is in first place at 2-0, while Splyce and Red Reserve are tied at 1-1—but Splyce holds the tiebreaker at this moment due to their head-to-head victory over Red. Rise sit at 0-2 after Friday’s action—and it won’t get much easier for Rise, because they face off against Splyce in their first series on Saturday. We’ll see the current top team in Group Yellow back in action at 2pm ET on Saturday (July 15) when eUnited square off against Red Reserve.